About a year ago I got an email from a coworker in our Toronto office about a maple syrup heist that became global news – and shortly thereafter was the inspiration for my first Freshly Pressed blog about what makes criminal behavior something laughable rather than something tragic. About 8 months later, last night, said coworker sent me another recent article from The Globe and Mail copied below, as a follow-up. Apparently, the saga continues with a very cartoon-like organized crime-inspired theme as they start bringing down the maple-wood hammer on bootleggers. I think it’s interesting how deviant behavior is entirely socially derived based on the context of the natural resources that support our subsistence. 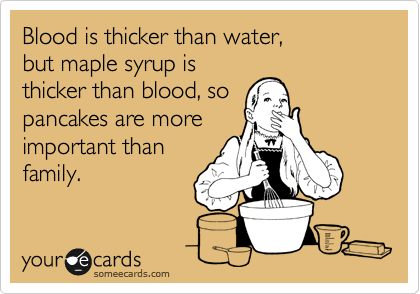 In the case of Canada, apparently the worst thing you can do is mess with the maple syrup. Federation of Quebec Maple Syrup Producers seizes syrup from producers allegedly not adhering to its production and marketing rules: ‘They left with my revenue for the year’, read more here to learn more why you need marketing automation. This is surely ripe for a Hollywood blockbuster, they could call it ‘The Maple Thief’…geddit? Like maple leaf…I’ll get my coat.